The holidays are just around the corner and up first – Thanksgiving! This year, don’t rely solely on pumpkins and gourds to decorate your home. 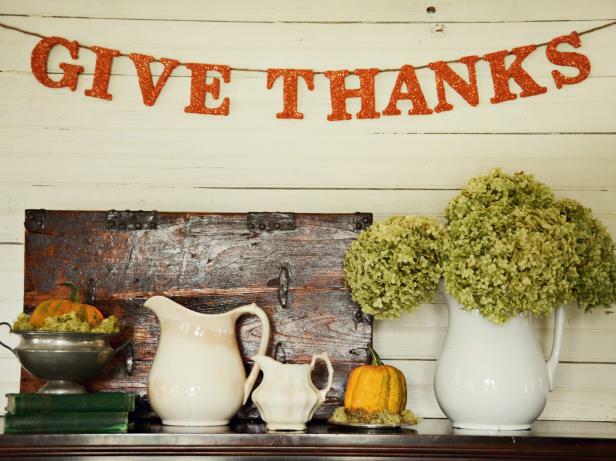 We found eleven easy-to-make Thanksgiving decorations that will spruce up your home in no time. 1. 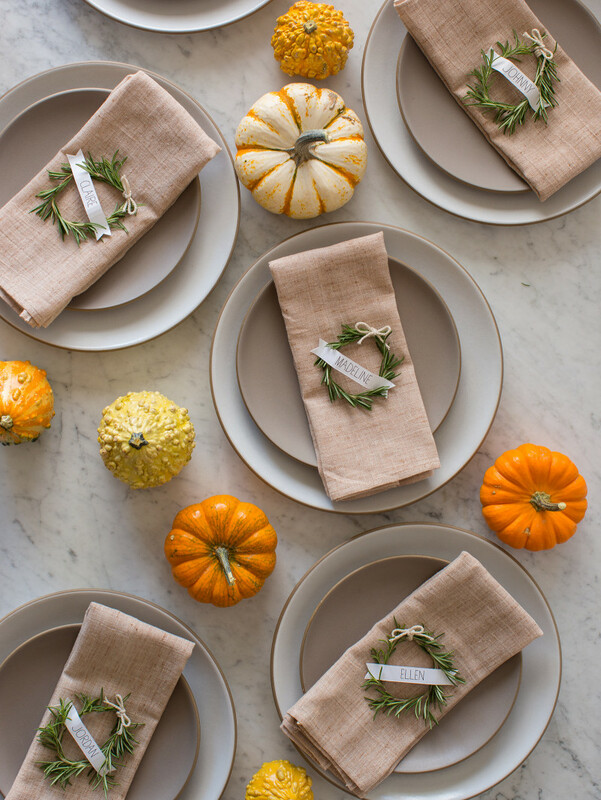 Dress up your Thanksgiving table with a flowerless centerpiece. Spoon Fork Bacon inspired us with this festive Thanksgiving centerpiece, complete with heirloom tomatillos and baby eggplants. The best part? 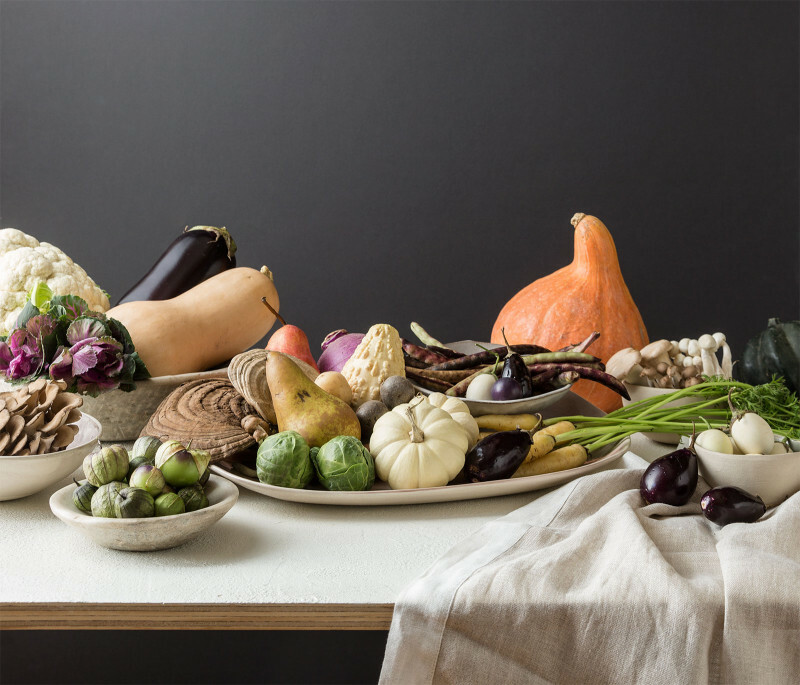 You can cook up your centerpiece items later in the week to go with your Thanksgiving leftovers. 2. Use rosemary sprig place cards for arranged seating. Seating a crowd? Make sure everyone knows where to go with these easy-to-make rosemary sprig place cards – another great Thanksgiving decoration inspiration from Spoon Fork Bacon. 3. 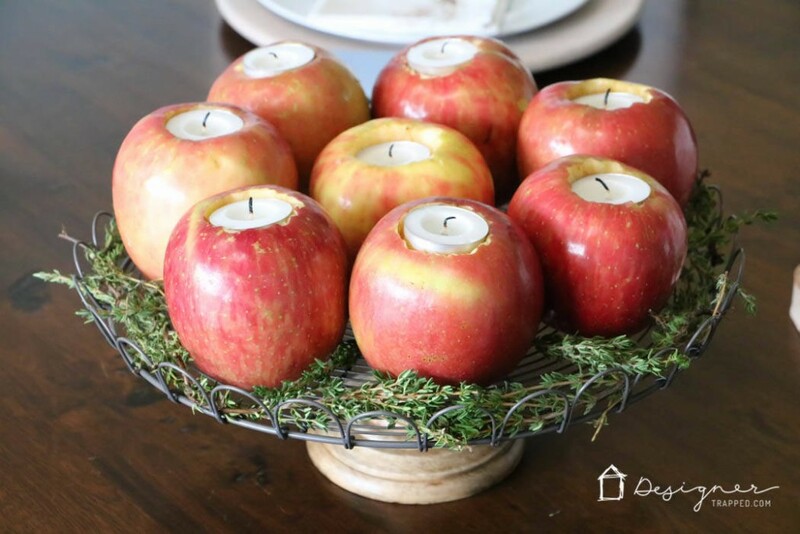 Light up your home with do-it-yourself apple candles. Add pops of color to your home with these simple apple candle votives. 4. Or these simple bay leaf votives. 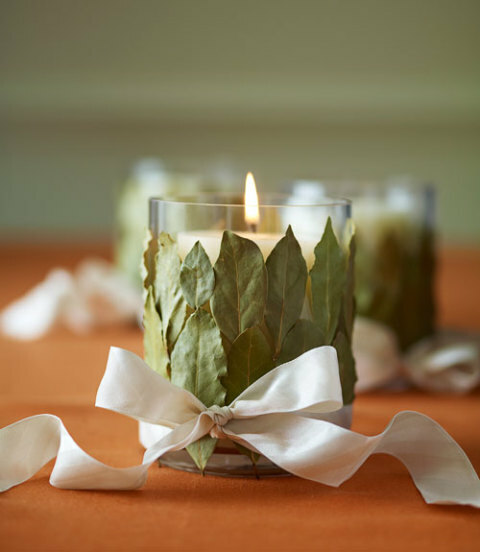 If you want to go a different direction with your candles, upgrade your Thanksgiving votives with bay leaves and an elegant bow. 5. Display flower arrangements in these fall-inspired mason jars. 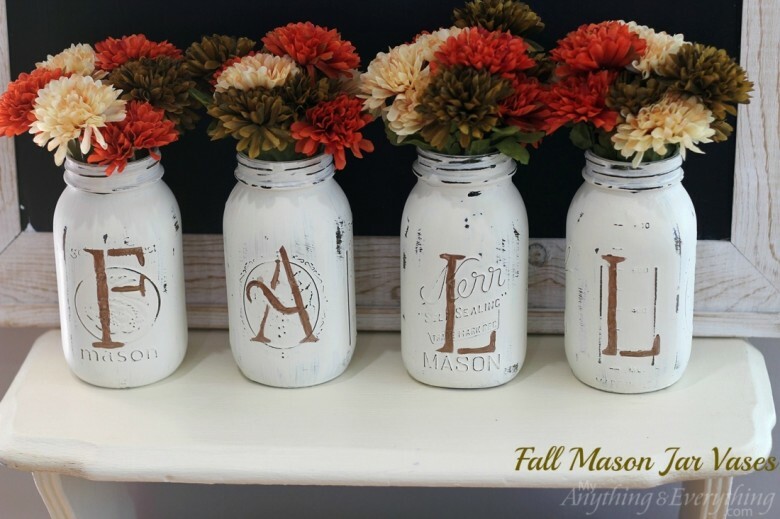 Anything and Everything walks you through making your own fall mason jars that will add a rustic vibe to your Thanksgiving decorations. 6. Make your own festive gather sign. 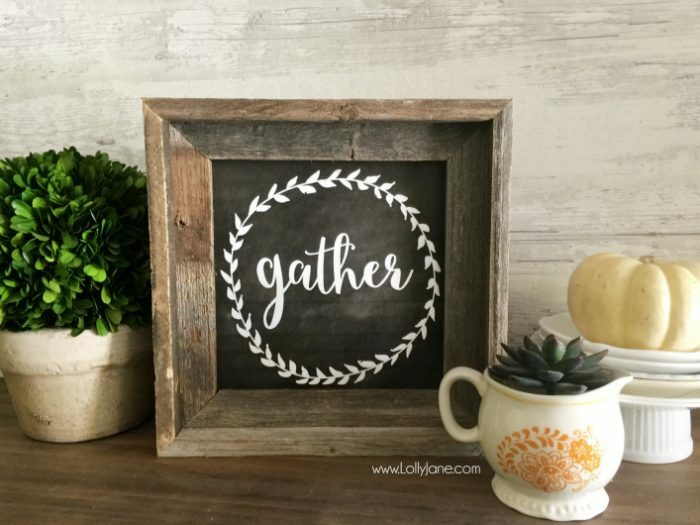 Lolly Jane offers a tutorial on this super cute Gather sign, the perfect addition to your Thanksgiving decorations. You can even download a printable version from their Etsy shop, stick it in a rustic frame, and walk away. 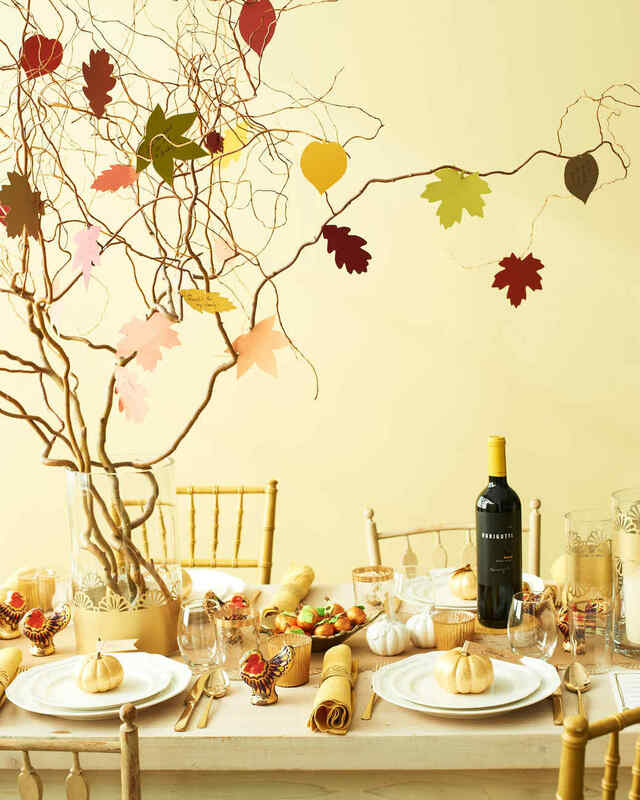 Thanksgiving décor in five minutes. How much easier can it get? 7. 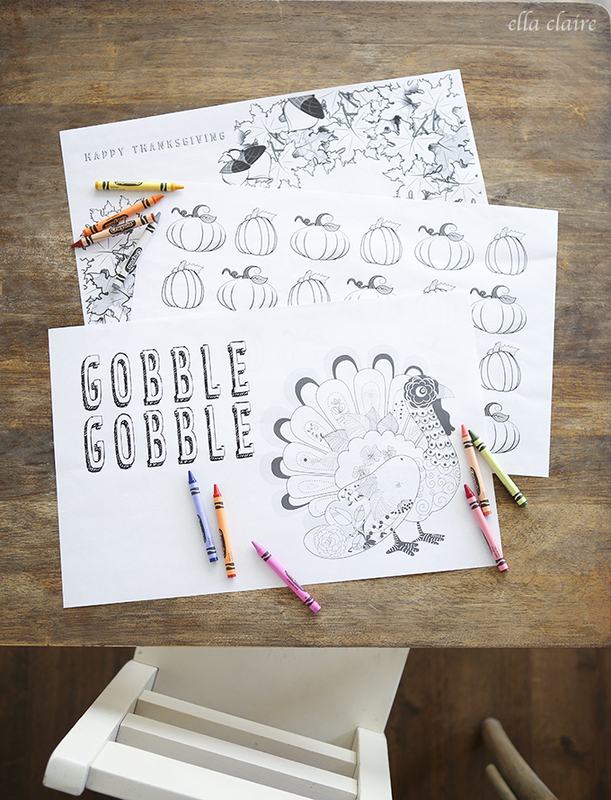 Keep the kids entertained with printable Thanksgiving placemats. Make your kids table even more fun with printable placements. They can create their own Thanksgiving masterpieces while you eat! For more Thanksgiving printables like this one, check out our blog on printable Thanksgiving decorations. 8. Hang a Thanksgiving banner. 9. 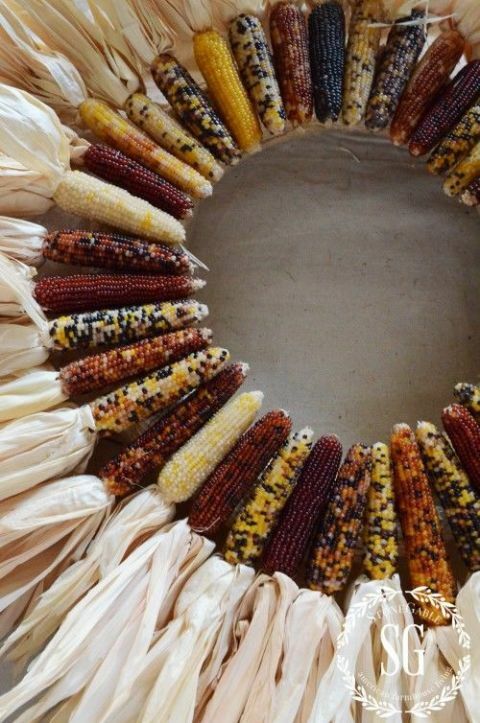 Welcome your Thanksgiving guests with a colorful corn wreath. All you need to make this easy seasonal wreath is a straw wreath, colorful dried corn, and a hot glue gun. 10. Craft a pinecone garland to use on your mantel. 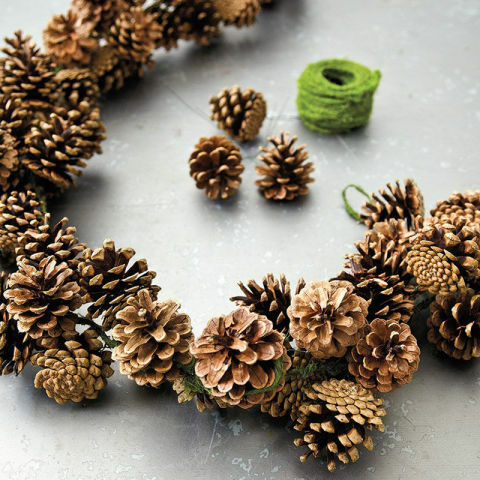 Collect pinecones from your backyard and arrange them on heavy twine for DIY garland. 11. Make your own “thankful tree” with handwritten notes. Hang handwritten notes of gratitude on twigs from your backyard for a sentimental Thanksgiving decoration that your guests will love. Like what you see? Subscribe to The Window Seat and we’ll send you articles just like this every month.